Originally the ‘Institute of Public Administration,’ the institution began in 1961 and was run by the Government of Ghana and aided by the United Nations Special Fund Project. 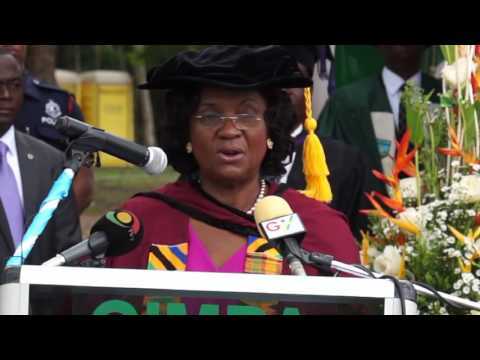 Today, its four schools are; GIMPA Business School, the School of Public Service and Governance, the Faculty of Law GIMPA, and the School of Technology. At GIMPA you can earn masters and executive masters degrees in areas such as public administration, governance, business administration, development management, technology, and leadership. GIMPA employs 600 people, teaches an impressive 10,000 students, and has amassed a 15,000-strong alumni network. Languages at the university are English and French. On the Greenhill Campus a branch of UniBank has been on site since 2012. GIMPA has been and continues to be an essential part of Ghanaian infrastructure thanks to its training of public servants. Gimpa’s teaching method was very hands on and inclusive, they consistently encouraged free thinking, which gave way to innovation. The school’s faculty were always on hand to give extra attention if you didn’t grasp what was said or weren’t available. If you're the owner or representative of Ghana Institute of Management and Public Administration - GIMPA, you can claim this University and build a better profile. Interested in studying at Ghana Institute of Management and Public Administration - GIMPA?